It’s always a mistake to go on holiday, although we had brilliant sunshine for 3 days of walking in the Lake District (for those who know the Lakes, 3 days without rain at all is quite something). 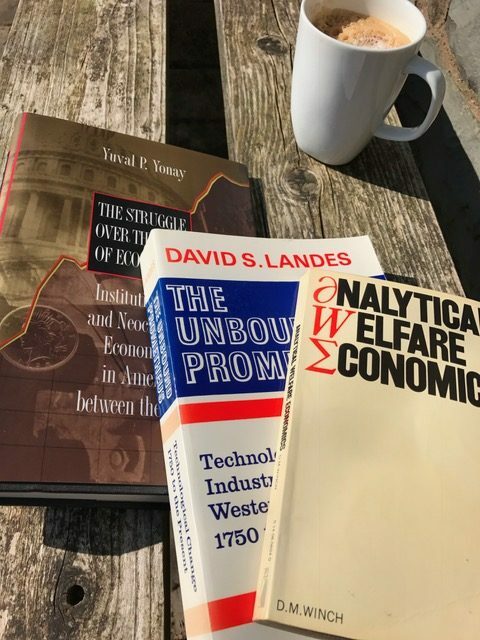 While there, I popped into Westwood Books in Sedbergh, a second hand book emporium with a small but high quality economics section. I picked up three titles, including D.M. Winch’s classic little (1971) Analytical Welfare Economics. My Public Policy Economics course has the basic welfare theorems as the scaffolding off which the material is hung; it’s non-technical but not easy. After all, these are hard problems. The Winch book (I think I read it once in the 1970s) is largely non-technical too, whereas many textbook treatments quickly become very technical. I think covering the materials without scary algebra is important for students who come from a range of economics, politics and other social science courses – with varying levels of technical/mathematical background – and many of whom will go into policy-type jobs. However, the Winch book is also pretty abstract. As I’ve not found the ideal textbook to use in my undergraduate teaching, I’ve now decided to write it myself. 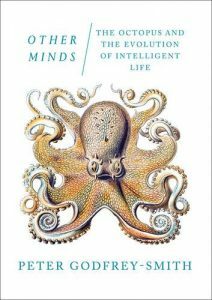 Meanwhile, I’ve also been reading the utterly brilliant Other Minds: The Octopus and the Evolution of Intelligent Life by Peter Godfrey-Smith. I’m interested in a dilettantish way in animal intelligence because of thinking about human economic decision-making. Pigeons and rats in some circumstances make the choices that would be predicted by economic constrained optimisation models (although as Cecelia Heyes has emphasised to me, this doesn’t mean they’re behaving like humans – the similarity stems from context not deep behavioural or genetic common factors). So do humans, of course, sometimes act like rational, optimizing homo economicus. Understanding the contextual determinants of how choices get made (by any creatures) seems crucial. Anyway, it turns out the octopus and the cuttlefish are pretty smart and – to anthropomorphise shamelessly – also rather human in their occasional stroppiness. Other Minds is simply superb, not just for its insights into the world of ‘cephalod-inclined hobbyists’. It’s lucid, thought-provoking, fascinating, funny. 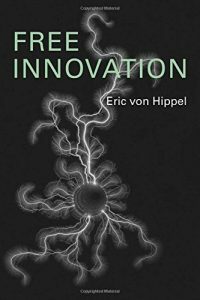 The key message I’ve taken so far is the importance of the feedback from actions to sense perceptions and hence to ‘consciousness’ or ‘intelligence’ – which, like any feedback loop, can reach a tipping point after which change becomes eponential. Best book of the year so far. And I say this having also read Thus Bad Begins by Javier Marias in the Lake District. 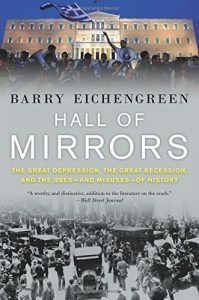 Very late in the day, I’ve finally read Barry Eichengreen’s Hall of Mirrors: The Great Depression, The Great Recession and the Uses – and Misuses – of History. The subtitle is a concise capsule summary. The book does a neat job weaving between the 1920s/30s and the 2000s, underlining the similarities and the significant differences. There is some nice storytelling as well, particularly in the Great Depression chapters, using colourful figures and their exploits to draw in the reader, starting with the notorious Charles Ponzi but with many others too. In fact, there’s a 20 page Dramatis Personae, so this is no abstract text but a story of actual people doing actual (bad/stupid/short-sighted) things. Given the number of books already available about both episodes, the added value of this one needs to be in the compare and contrast, and I think it succeeds in this. The common features (apart from human frailty) lie in the dynamics of bubbles, and their roots in periods of stability and optimism; in the global character of financial market reactions and the way decisions that seem either sensible or politically necessary in one country can have immense negative externalities for others; and in the interplay between politics and economics or between democracy and technocracy. Perhaps the most important difference emphasised here is the greater scale and complexity of financial markets now. Even when people are not trying to hide misdeeds, it is not easy to identify dangerous flows or accumulations of risk. But the book also points to the difference in policy responses: in the Great Depression the answer was more government. Given the way politics has moved, it was not the answer to the Great Financial Crisis. Eichengreen – relatively gently – points to the under-regulation of big banks and other financial institutions in key dimensions, such as the only modestly higher capital ratios and lower leverage; or the failure to reform credit ratings agencies. This gently touch, he argues, reflects the success of the monetary and fiscal policy action to avert another Great Depression: “Thus the very success with which policy makers limited the damage from the worst financial crisis in eighty years means we are likely to see another such crisis in less than eighty years. Much less, I’d say, given how little has changed. Anyway, I enjoyed Hall of Mirrors. 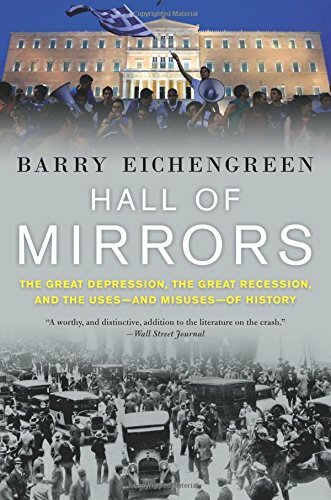 I think it helps to have read other books on both episodes, as in effect half a book on each of the Great Depression and the Financial Crisis is pretty compressed. A combination of Liaquat Ahamed’s Lords of Finance and John Lanchester’s Whoops! would be perfect preparation (the latter was IOU in the US). There’s an interesting new book, Digitalization, Immigration and the Welfare State, by Marten Blix of Sweden’s Research Institute of Industrial Economics. It brings together two deep trends, technology and immigration, in the context of the relatively rigid labour market structures of Sweden and some other European countries. 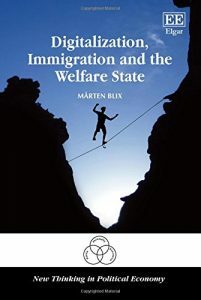 Blix asks, what are the implications for the welfare state, the high tax, high spend social contract? He argues that the combined trends are increasing inequality, and the longstanding social support for redistribution and high taxation is eroding. Sweden has been at the forefront of both trends. It ranks high on measures of digitzation, and has taken in more refugees per capita than most other European countries. It has consequently had one of the biggest increases in income inequality in the OECD (the level of inequality is still relatively low – similar to Canada or Germany). Ultimately, the book suggests a Swedish model of social democracy can potentially survive, thanks to the country’s high productivity and high initial levels of social capital. Sweden’s public finances are also in better shape than in many other countries. However, it certainly doesn’t look like an easy path. 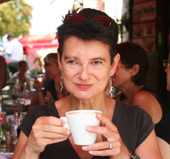 Absorbing the new immigrants will require a focus on enhancing their skills – and also those of the already-resident. One prescription is reducing the rigidities in the labour market and housing market. Another area where greater flexibility will be needed is in accommodating the increase in work – via digital platforms for instance – outside the traditional collective wage bargaining. Some Swedish unions are apparently working to establish employment standards on the digital platforms. 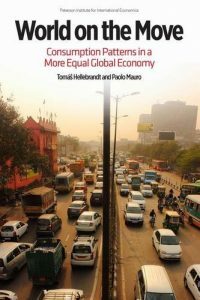 As the book concludes, however, the obstacles to the reinvention of the Swedish model – or any other social contract – are not problems of economic analysis but political obstacles. Economists often talk of the need for ‘structural reform’ when this is code for ‘politically bloody difficult.’ Immigration makes the politics harder, Blix argues: “Sweden is no longer the homogeneous country it used to be and the social contract holding people together is at risk of disintegrating.” All the more dangerous, then, he says to pretend everything is fine and nothing needs to change. The newcomers have to be brought into the fold or the future of the Swedish model looks to be in doubt. Much of this debate is of course familiar to those of us more familiar with the UK and US economies, as is the kind of political lunge to the populist right or left that accompanies these tech and migration trends. It’s interesting to read about the challenges in the context of a country that has so long been an admired model for the centre left (and even some of the centre right). I accept that it’s essential to try the kind of policy response the book suggests, hard as that is, given the do-nothing alternative. But it’s quite hard to feel optimistic these days. Even Sweden! I’ve been attending the NBER’s Conference on Research in Income and Wealth in Washington and one of the lunchtime speakers was Baruch Lev, talking about his recent book, The End of Accounting. Having heard the talk, I’ll have to read it. The argument is essentially that companies’ financial reporting is decreasingly useful as a guide to company performance, and any potentially useful information is deeply hidden in the required figures, which – Lev argues – bear little relation to reality, are heavily manipulated, and involve many dubious assumptions. It’s safe to say he isn;t a fan of the accountancy standards bodies – nor they, presumably, of his work. Just before leaving London I finished Thomas Rid’s Rise of the Machines, a history of cybernetics from the perspective of an expert on defence and security. 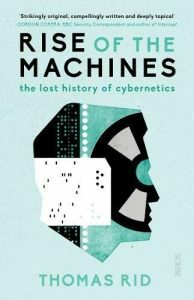 Much of the story he recounts is familiar to anyone who has read lots on computer and internet history, but the perspective is distinctive. Of course the tale starts with the information needs of the military in World War 2, but it also ends with security. There is a fascinating chapter on a mid-1990s Russian cyber-attack on the US, code named Moonlight Maze – apparently the first time so many of the details of this attack have been pieced together. This chapter was particularly interesting in the light of recent Russian activities in the US and elsewhere. Here is quite a detailed description referring to Rid’s book. 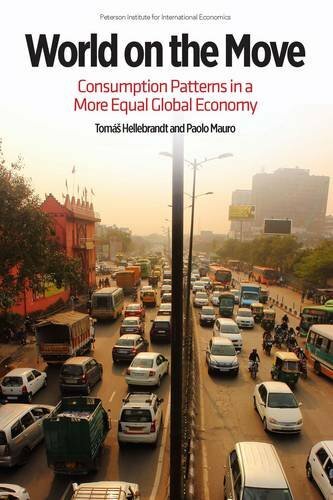 I also polished off a short book, World on the Move: Consumption patterns in a More Equal Global Economy by Tomas Hellebrandt and Paulo Mauro. It looks at demographic and income distribution data and projections to make predictions about future demand growth – especially for transportation and infrastructure. It’s more of a reference work than a good read but I’m sure useful for some readers. One of the conference speakers was Eric von Hippel, who kindly signed a copy of his book Free Innovation for me, so that’s next on the agenda. And this being Washington, I’ll almost certainly drop into Kramer Books and leave with a few purchases.